Broomall, PA – (ca. 2013). It was a regular stop for Greek music lovers. 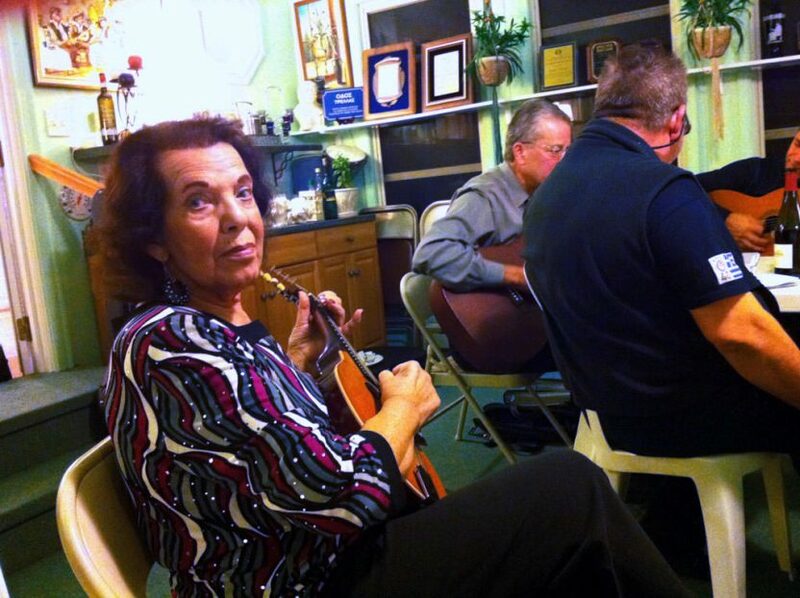 When Art and wife Marika Trizonis made the call to invite musicians and members of the Greek American community to their home. They were nights to remember. Drinks, Greek music and “Kali Parea” were the background for this monthly affair that lasted more than 20 years. In this photo, Marika Trizonis. Submitted by Cheri Christakis.